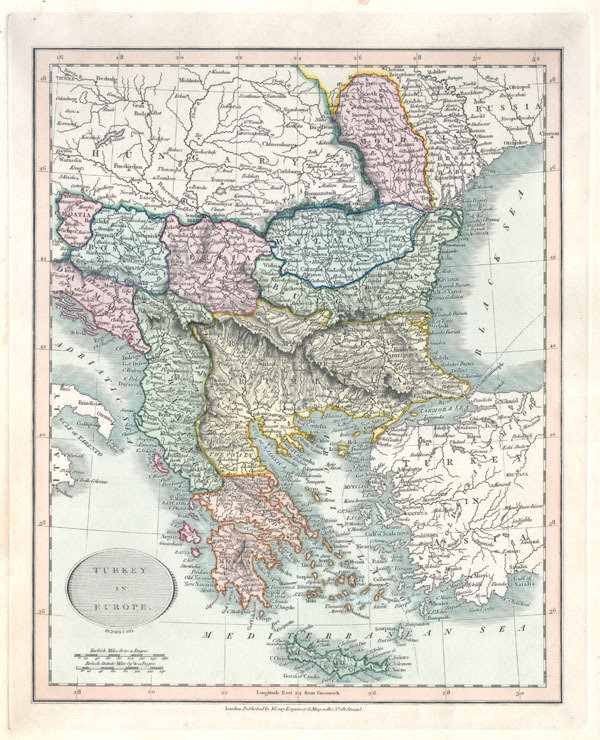 This is a hand colored 1836 map of Greece & the Balkans under the rule of Turkey by John Cary. Includes the modern day states of Greece, Albania, Moldova, Bosnia, Croatia, Serbia, Bulgaria & Romania. Published from Cary's office at 181 Strand Street, London.